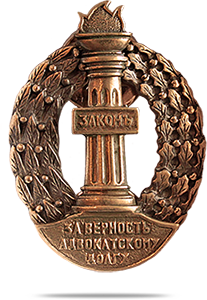 Order «FOR FIDELITY TO ADVOCATORY DUTY». 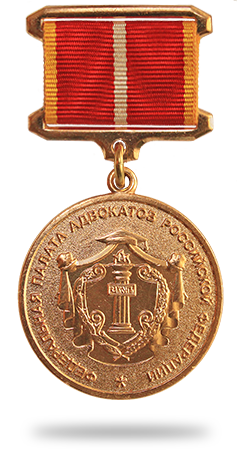 Gold Medal of 1st degree «FOR SERVICES IN PROTECTION OF CIVIL RIGHTS AND LIBERTIES». 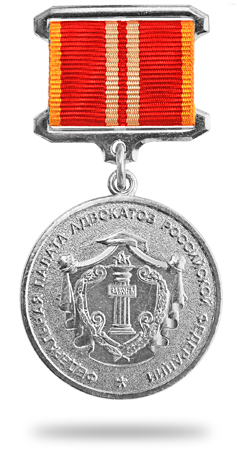 Silver Medal of 2nd degree «FOR SERVICES IN PROTECTION OF CIVIL RIGHTS AND LIBERTIES». 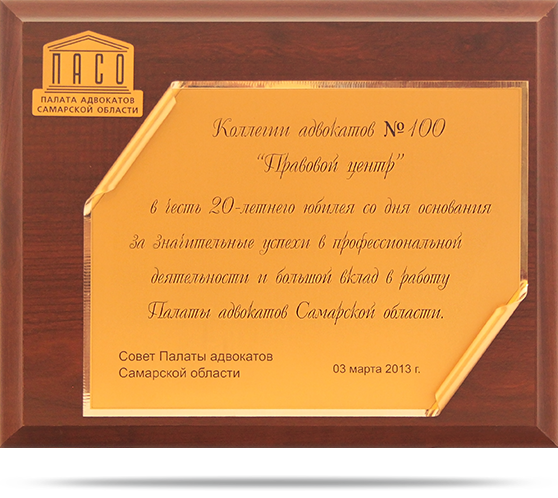 Certificate of merit «For considerable achievements in professional activities and a major contribution to activities of Chamber of Lawyers of Samara Region». 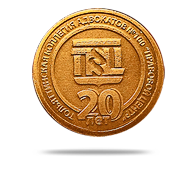 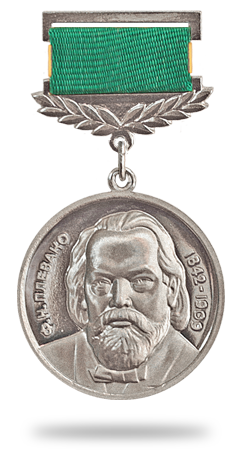 «Commemorative medal issued on the occasion of the 20th anniversary of foundation».